Microsoft’s answer to the PS4, and the next-generation of their popular gaming platform, the Xbox 720 release is only months away with everyone’s eyes and hears anxiously awaiting the E3 event on June 11 2013 where the official announcement is expected. However, before the Xbox 720 is officially announced, there are a few features and specs that are already being speculated, together with a few suspected launch titles that could be offered exclusively with the new Xbox 720. It seems that the general message around specifications suggests the Xbox 720 will have a 1.6GHz dual-core AMD processor, Blu-Ray disk drive, 8GB of GDDR3 RAM, with an 800MHz graphics processor. AMD have revealed that the Radeon HD 7790 graphics card is likely to be used as the base GPU of the Xbox 720. In addition, there may also be an x86 chip included in the Xbox 720 to allow backward compatibility with the Xbox 360 games. Of interest is the prospect around the DRM that could be included with content played on the Xbox 720, and it is suspected it will play a major part of the gaming console and its experience. Physical disks will still be sold, but there will be used purely for licensing reasons, effectively to prove you legitimately own the game. The actual content of the game will be installed the first time the disk is inserted, while users can begin playing the game straight away while it is installing. 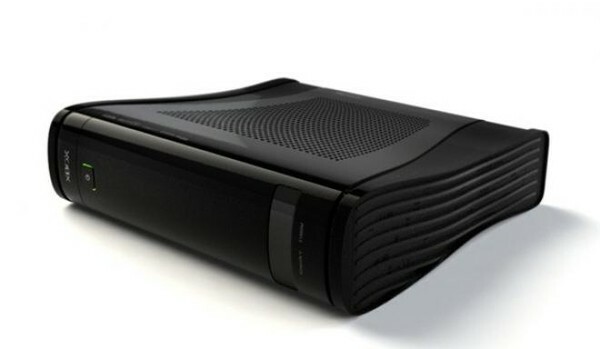 The Xbox 720 is rumoured to have set-top box capability built in to allow the expansion of services the Xbox offers. There are further rumours that an internet connection may be required for permanent connectivity – something that has caused quite a lot of concern for gamers. It wouldn’t be the first time we have seen this attempt with games, with Sim City opting for an always-on connection to combat piracy. The Xbox 720 is also expected to have a kinect module built into the console, or at least come standard with it, to take the user experience and interaction to the next level. Speech recognition is also expected to play a big part in the way a user interacts with the new Xbox. 1. Halo 5 – Expected to be launched on 2014 Christmas season. 2. Forza Motorsport 5 – No confirmation of any plans next year. 3. Gears of War 4 – Poor sales may discourage the upcoming instalment. 4. Ryse – First person action game intended for Xbox 360. 5. Alan Wake 2 – A sequel has been announcement but no confirmation for being exclusive to Xbox 720. 6. Call of Duty: Ghosts – Activision confirmed the revelation of the game really soon. 7. Destiny – Another upcoming Xbox 720 from Activision. 8. Battlefield 4 – A possible highlight on the launching event from EA. 9. Project Titan – New game from Respawn Entertainment and creators of Call of Duty. 10. Assassin’s Creed IV: Black Flag – Ubisoft confirmed versions for both Xbox 720 and Playstation 4. 11. Watch Dogs – Microsoft is expected to reveal this game at E3 event. There are certainly a lot of unknown areas of the Xbox 720, and of most interest to gamers will be the aspect surrounding the always-on internet connection. With not too long left to wait until E3, share what you think the Xbox 720 may include in the comments below.